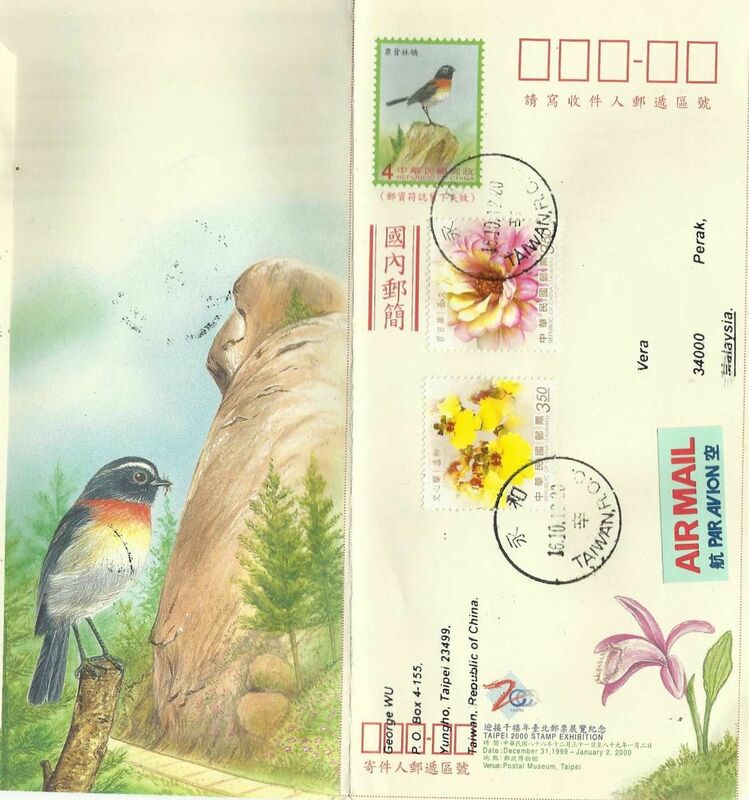 Birds on stamps also includes birds on postal stationary and I was delighted to receive this attractive pictorial aerogram from Gulfmann in Taiwan. Overprinted with the logo for the Taipei 2000 Stamp Exhibition, the aerogram is up-rated for current use. The colorful little bird is the unique endemic Collared bush robin ( Tarsiger johnstoniae) which lives high in the mountains of Taiwan.